Pictures of Malaysia & Singapore. Many high quality digital pictures, photos with a short description and maps of interesting destinations in Malaysia & Singapore. 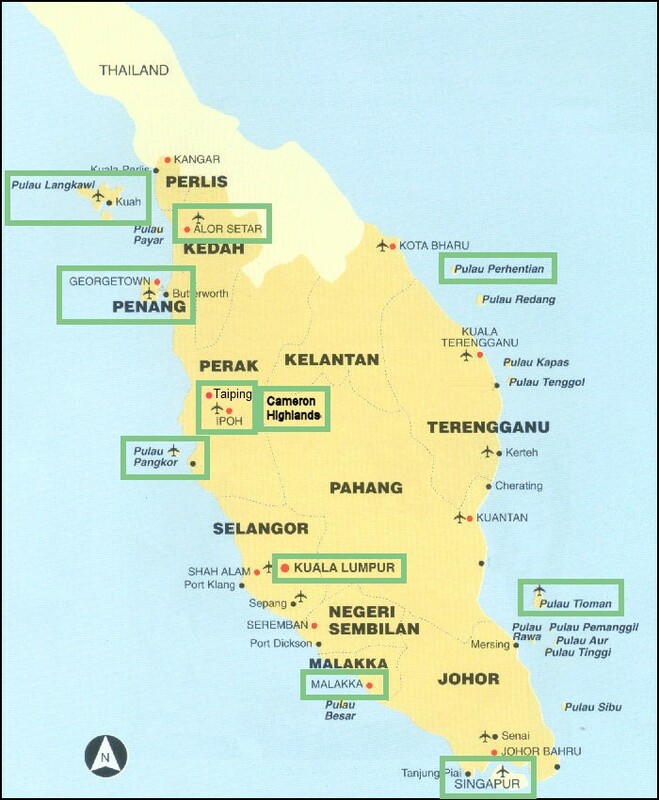 with a short description and maps of interesting destinations in Malaysia & Singapore. to give you a good impression of Malaysia and Singapore. Georgetown (Penang) and the old historic city of Melaka. 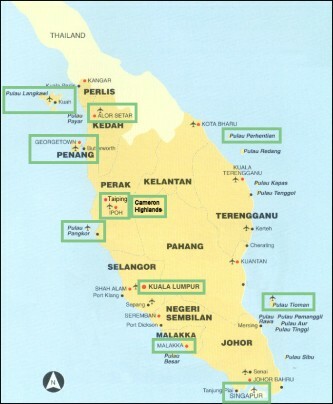 and Langkawi and Pangkor at the West coast. And last but not least 116 pictures of beautiful girls and women in Malaysia and Singapore. Malaysia is a very varied country. It is an example for the world, because Muslims, Hindus, Buddhists and Christians live peaceful together. It is a blend of several cultures, which make the cities very varied with their Little India, Chinatown and hypermodern shopping centers and buildings. Also the food is most of the times excellent with almost an infinite number of choices. The nature is on several places very beautiful with national parks, paradise like island and so on. Malaysia is a country, which does almost everything right. It public transport system is very good and also the roads. And of course for Western standard it is cheap. There is so much to see, this website can give you only some of the highlights. It is a very pleasant country to travel through. Click on the map to see all the visited places.